I sometimes get some questions about the ‘mole-hills’ or little bumps that you get right after a BOTOX Cosmetic treatment. This is a very, very temporary occurrence (between 5-15 minutes usually) that some people tend to get anxious about or hung-up on. So, I thought I would post pictures of my own latest treatment in an effort to put some worries to rest. 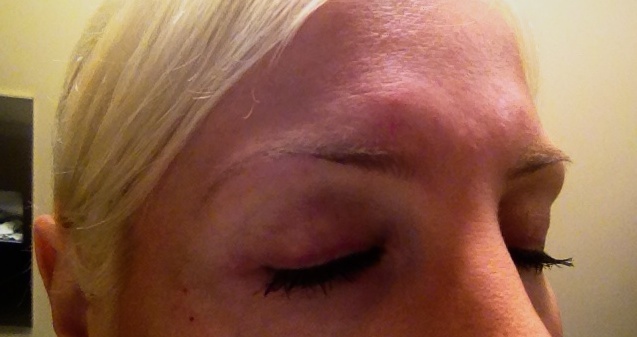 And here is yet another angle, where you can see the pin-point marks where I had my crows-feet area injected. No biggie! And Wah-Lah! 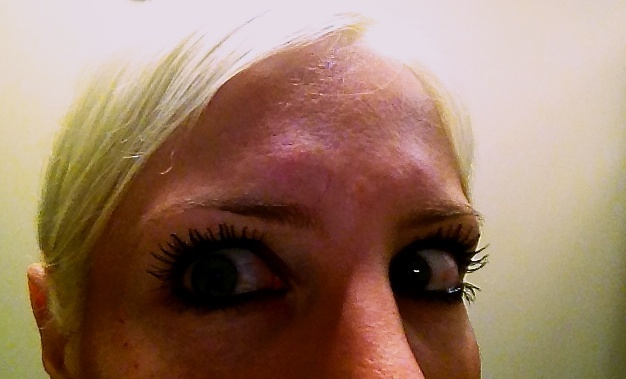 Here I am about 15 minutes after treatment, looking pretty good… no Mole-Hills! Just a touch of tiny pink- nothing a bit of powder couldn’t handle. See? Nothing to worry about! When the BOTOX Cosmetic arrives at an office, it is in concentrated, sort of freeze-dried or vacuum-dried form. There are 100 units in a typical bottle, but they need to be reconstituted to properly use them and measure them out. Saline is used to do this. The injector will determine how many units need to be injected into each area, and will inject the BOTOX Cosmetic, Diluted with saline, into the area. It takes your body a couple of minutes to absorb it, which is why the molehills occur. They are gone really quickly! Despite how many questions we hear about this, this little side effect should probably the least of your concerns. 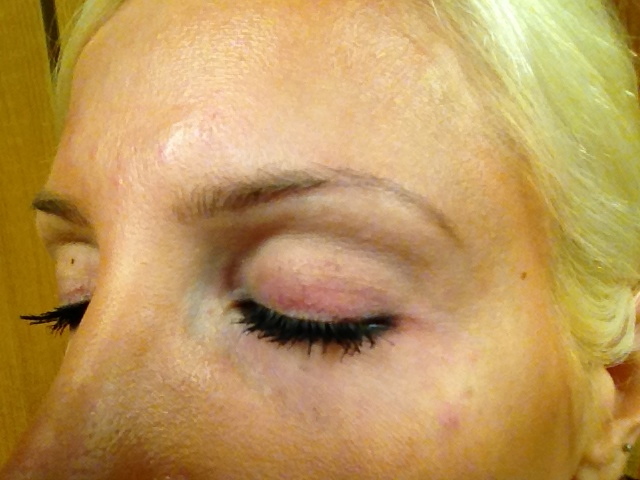 Be sure that your injector is a physician or a nurse injector, and that they are using authentic BOTOX Cosmetic. You can even ask them to see the bottle, which has a hologram on it. There are sometimes little bruises (like just bigger than the size of a pin-point) that can occur, and we most typically see them around the eyes (crowsfeet). I didn’t get any bruises this time, but every once in a while I will. Usually not a big deal at all! Always do your homework, and you will be better off! Here’s a full list of side-effects, and always discuss the risk vs benefit of any treatment with your doctor! Enjoy your treatment and Bye Bye, Crinkle-Eye!